When you take your last breath here on earth, are you sure that Heaven will be your Eternal Home? 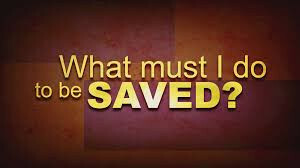 If you think you are Saved (Born Again), what do you base your Salvation on? The following is what the Bible (God’s Word) says we must choose to do Before We Die for Heaven to be our Eternal Home. CONTINUE READING: What Must I Do To Be Saved? My favorite scripture is John 3:16. Thank you for sharing your blog post in the SE community. Happy New Year and may God continue to bless you to keep doing his will.